Amazing space! 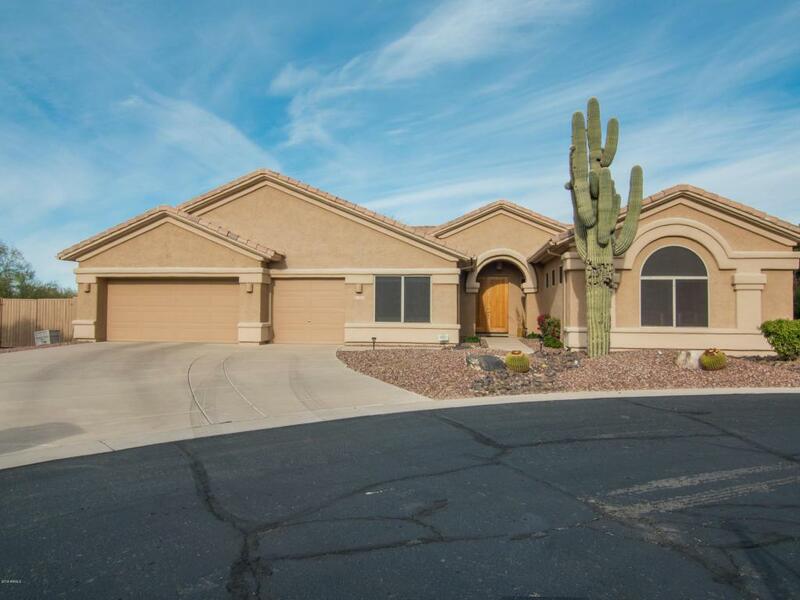 A home with everything you expect in the Desert Wind gated community. The well designed one level living space on a large cul-de-sac lot features: 5 bedrooms, 3 baths, 3 car garage. 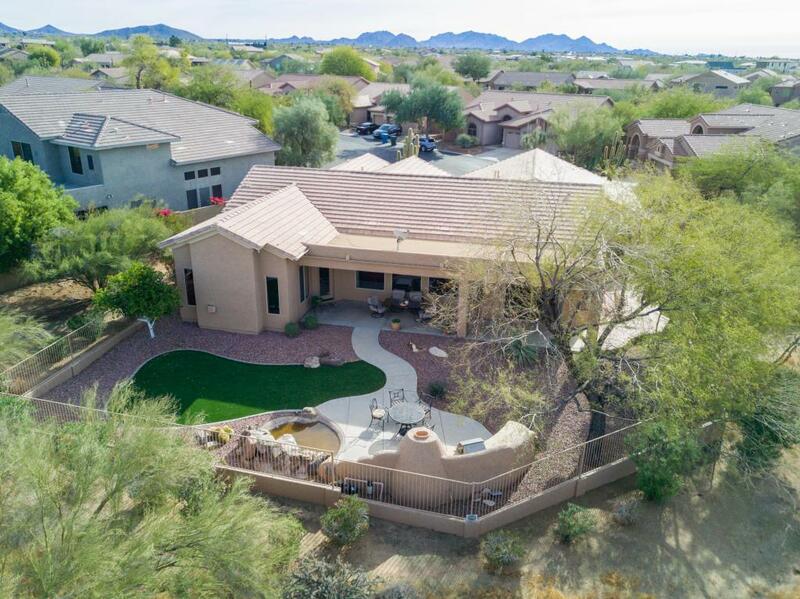 Enjoy your first cup of morning coffee on your beautifully landscaped private patio overlooking the breathtaking Arizona landscape views, no neighbors behind or on one side creates a very private backyard which includes a fireplace, built in BBQ and turf grass area. The split floor plan on this wide-open home allows plenty of room to entertain your friends or family. 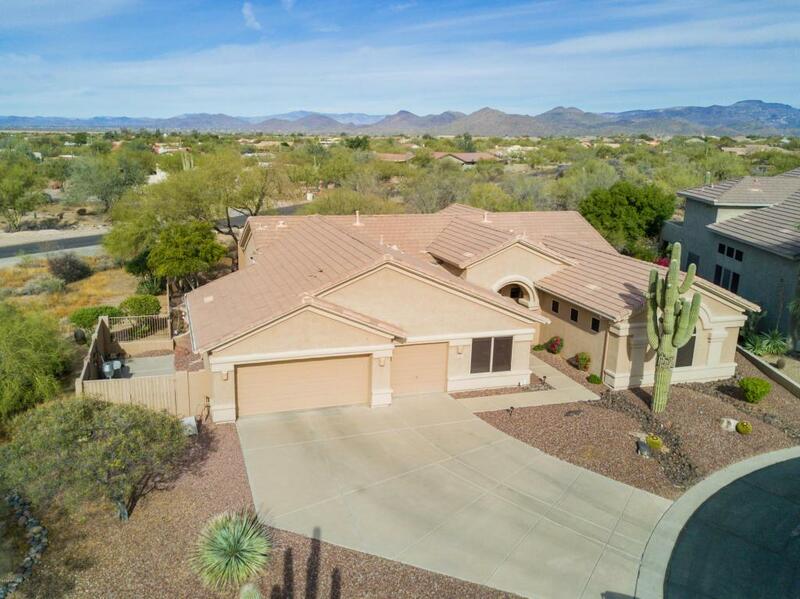 Spacious kitchen with Island, lots of cabinets, large pantry and a view of the fireplace in the great room, Master suite with patio access, bathroom with double sinks, separate shower/tub and walk in closet. Bedrooms 3 & 4 with Jackand Jill bath, Bonus room can be used for an office, craft room, work out room or whatever you desire. 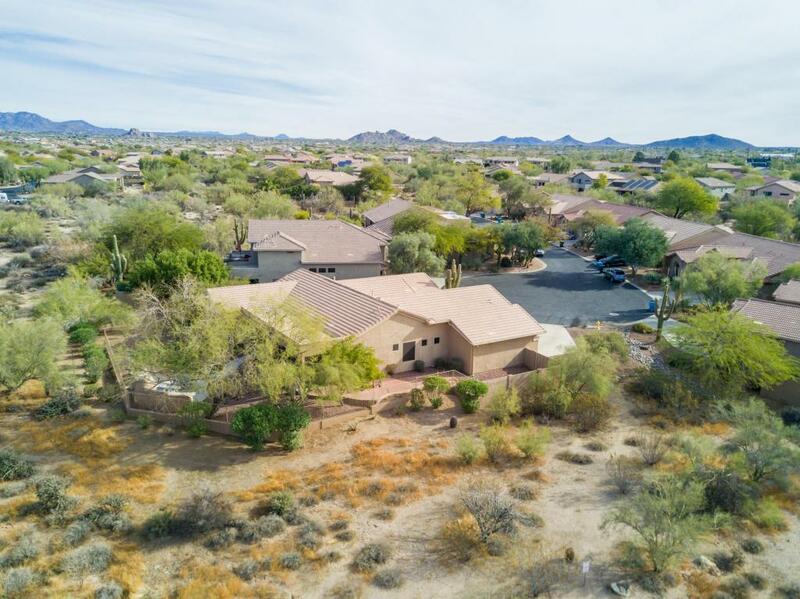 Easy to maintain desert front landscape, RV Gate, Close to shopping & restaurants. Move in ready a must see.